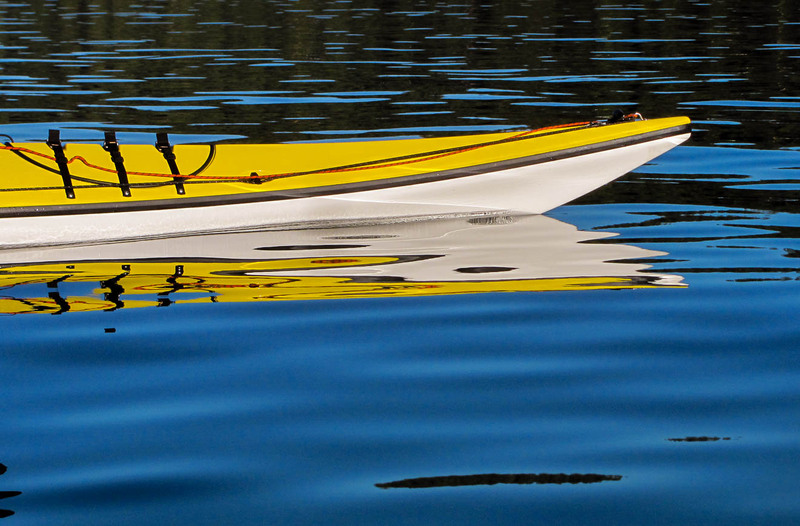 This entry was posted in Late Season and tagged Flatead Lake, sea-kayaking by kestrelgwh. Bookmark the permalink. The lake I frequent most had an unusual shape, and is logically and physically divided into three main ponds. 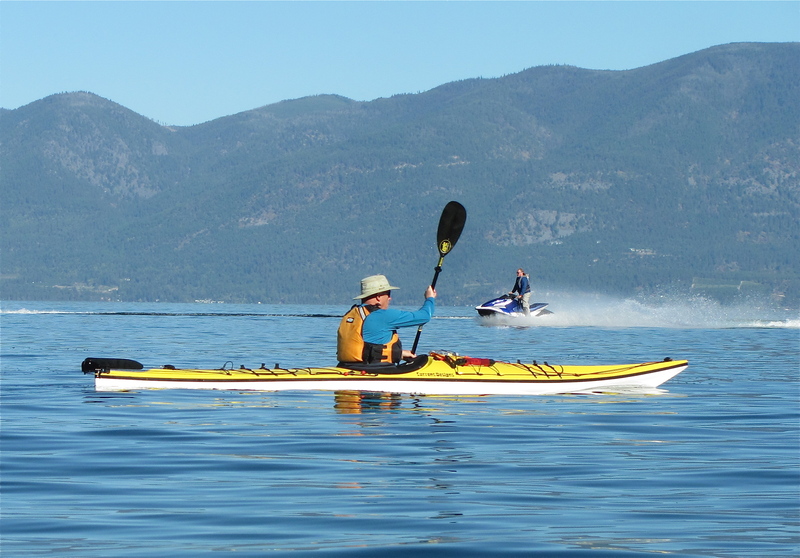 Jet-skis are forbidden in all areas of the lake. The northern pond is big and isolated, and frequented by a mix of craft – pontoon boats (i think of them as floating patios, with audible clinking of cocktail glasses and overly loud canned music), motorboats, canoes, paddle boats, paddleboards, and kayaks. The southern pond isn’t accessible by the big pontoon boats, but allows kneeboarding, tubing, and waterskiing, creating chaotic conditions for canoes, paddleboards, and kayaks. The middle pond has the full mix of boats, but no waterskiing. It is, however, a transitional area – by that I mean that people wishing to waterski pass the length of the middle pond to reach the south pond where that is permitted. The speed limit weekends and holidays in the middle pond is 5 knots. Rarely, a speed boat heading through the middle pond goes full throttle in ignorance of the posted limit, and often the Lake Patrol sets them straight. This past Sunday, however, the Lake Patrol wasn’t in sight, and middle pond was like a NASCAR race as about a dozen speedboats sped up and down the length of the lake, carving wide turns, creating huge wakes they crossed over in glee, occasionally going fully airborne. As an experienced, proficient kayaker, for the first time ever I felt fear in middle lake, with four-foot wakes coming at me from all sides simultaneously while the motor boats created havoc. I had my camera out, and didn’t dare take my had off the paddle to stow it below deck. He was really serious, and thought that I was enjoying being tossed about! It is one thing to ride a big wave sea-kayaking, but another thing entirely in a flat-water boat on what is supposed to be flat water. The difference in sensibility goes beyond practicing “safe boating,” which of course they were not. Great post, thanks for your perspective! Thank you very much for telling me what your landscape/waterscape looks like. Your description helps me picture the world in which you take your remarkable photographs. Thanks, too, for the portraits of the people. I’ve never had an offer like the one you got from the guy who thought you might like more of his waves. I also identify with the difficulty of taking photos while in turbulent seas. I can’t do it for fear of going over. I am grateful, too, that you see the levels in the things I write. I am getting more courageous.